Technology sure has done a great deal for us, but it has also killed camera brands like Kodak. With a view to surviving in this turbulent tech-market, these brands have been noticed to take several desperate measures. Add to those the latest scoop from Kodak, for they have announced their first ever smartphone—Kodak IM5—at CES 2015. The phone is the fruition of the collaboration between Kodak and a British firm called Bullitt, and the latter is best known for the production of ‘rugged’ Cat smartphones. When you hear the words ‘Kodak’ and ‘smartphone’ together, the first thing you expect from them is a phone with a good-quality camera. Indeed, Kodak has focused on improving the camera of the phone in an effort to making capturing, editing and sharing of photos convenient for the users. The phone has a 13-megapixel, auto-focus, rear-facing camera with a flash and 5-megapixel front-facing camera. The main camera comes with a one-touch image management software that you can use to quickly edit your photos, store them on your phone or print them (you read that right). Kodak has included an app that is compatible with you home printer and you can use it to instantly print any photo taken with your IM5. Kodak IM5 has a 5-inch 1280 x 720 pixels IPS display. The phone runs on octa-core 1.7 GHz MediaTek processor; and has Android 4.4.2 Kitkat, which will soon be upgraded to Lollipop. Along with that, IM5 has 1GB of RAM and 8GB of internal storage which can be expanded to 32GB via microSD card. Furthermore, the phone supports dual-SIM, and weighs only about 4.23 ounces or 120 grams. The matte black finish of the phone makes the whole device look quite impressive. Kodak IM5 is priced at €299, and will only be available in the European market in the end of the first quarter of 2015. 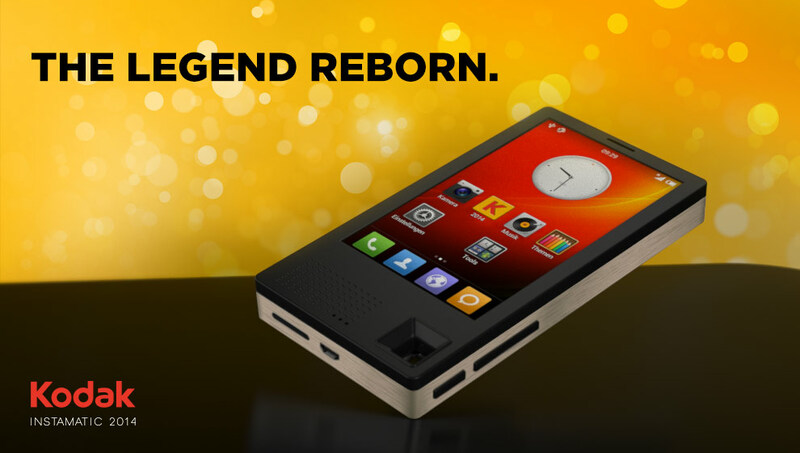 The phone is expected to gradually make its way to the US market, and it will be priced at $249 there.